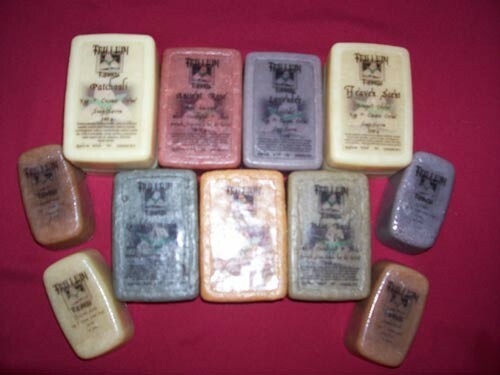 Trillium began with soap-making in Manitoba. Years ago, too many to count, in the spirit of my favorite maxim â�� I can do that!â�� I tried my hand at making laundry soap. After several batches, I moved on to learning other things (boring!!!). 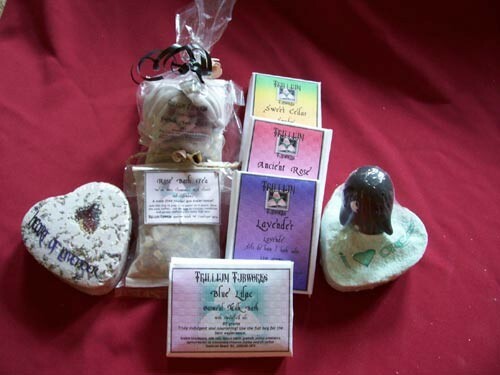 As my passion for herbs grew in the 1990â��s, I discovered herbal soaps, and bought a book. And made some soap. And never stopped! 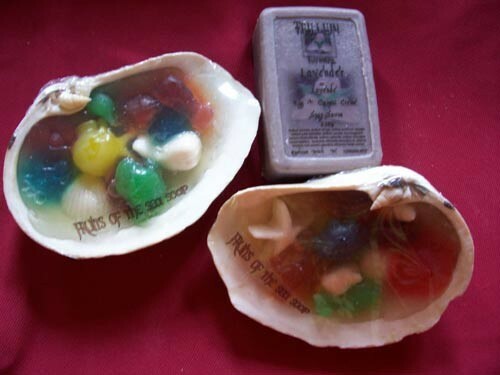 In 1997, I began swapping soaps with soapcrafters all over North America, and soon I could see my soaps were unique and marketable. 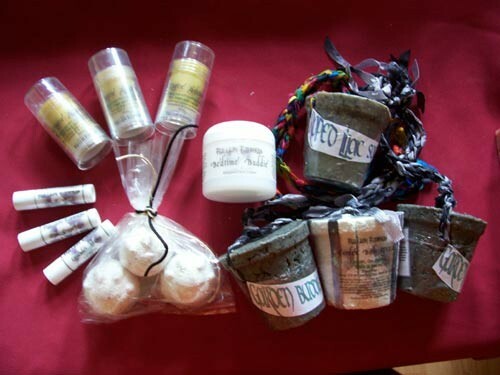 In 1998 my first home-based biz was born, with my products in shops, craft sales, and mall shows. They were a hit! Then, Vancouver Island...need I say more? We sold our busy little home in Winnipeg and moved to Qualicum Beach in February 2006. We were semi-retired, the business was closed. Then I ran out of soap. I made one batch, then I had to make lotion....and I was hooked again! Just a few craft shows close to home for Christmas... Trillium was born. 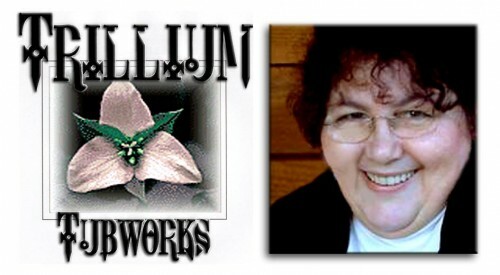 Trillium products are original formulations handmade with care and attention to the qualities of each ingredient. Designed for sensitive skin, we go the extra distance to provide a selection of textures and scents to suit individual taste. The oils and butters are luxurious, expensive, and well worth the initial cost for those looking for lasting, gentle body care. These oils are an excellent match to human sebum and the best way to soothe and moisturize irritated, dry and stressed skin. They feel absolutely wonderful too! A little really does go a long way with these exotic ingredients. Our soaps are loaded with rich vegetable oils and botanicals, ensuring each bar retains its natural glycerin. The clays we use are cosmetic grade and the ratios used selected to be gentle with all skin types unless specified for oily skin. It is our hope that the additional amino acids found in the goat milk, almond milk, and eggs not only add luxury to the experience, but also contribute to maintaining healthy skin care. Our lip balms, body sticks, and whipped cremes are natural, with no added preservatives. Our more sensitive oils are blended with liberal amounts of vitamin e along with stable oils and waxes with long shelf lives. Our lotions are made with the same fabulous oils, distilled water, herbs, a light emulsifying wax, with less than 1% preservative. We produce a heavier protective beeswax cream for customers who prefer, but we have yet to find a proven natural way to ensure shelf life of an oil-and-water blended product for more than a day or so at room temperature. Germall II is our choice because it is so effective in small amounts and well tolerated as well.